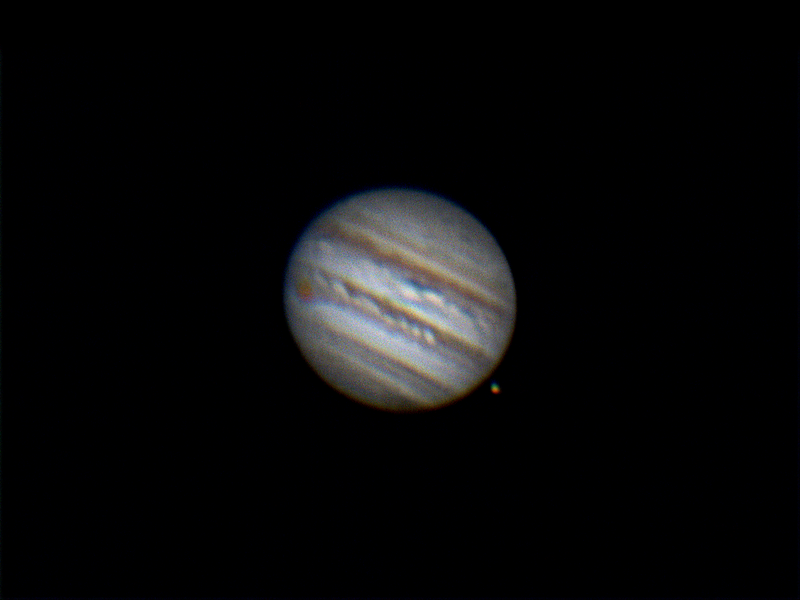 A DMK21AU04 AS camera was placed at the prime focus of a f/5.5, 80mm refractor mounted on a iOptron Cube Pro, AZ, GOTO mount. 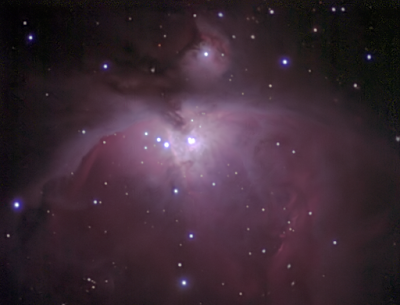 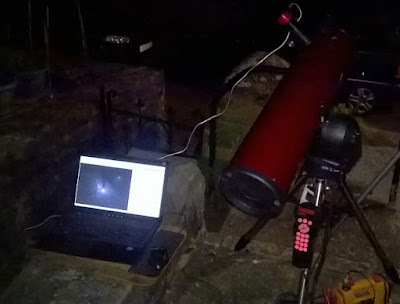 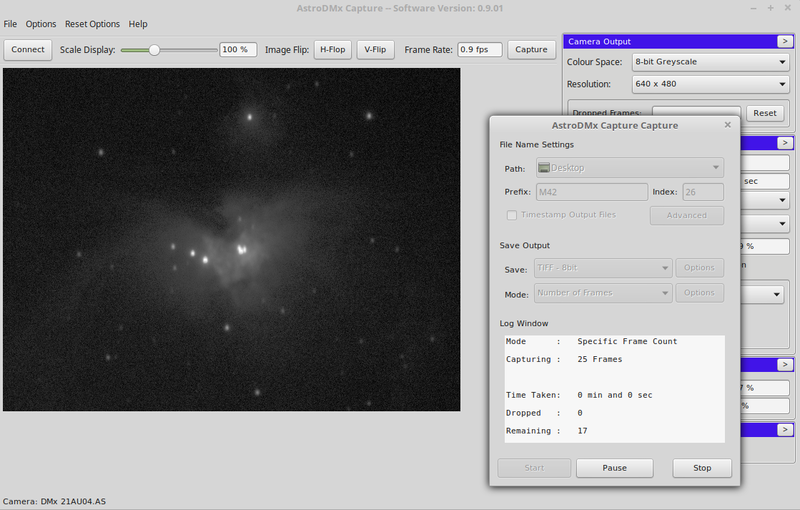 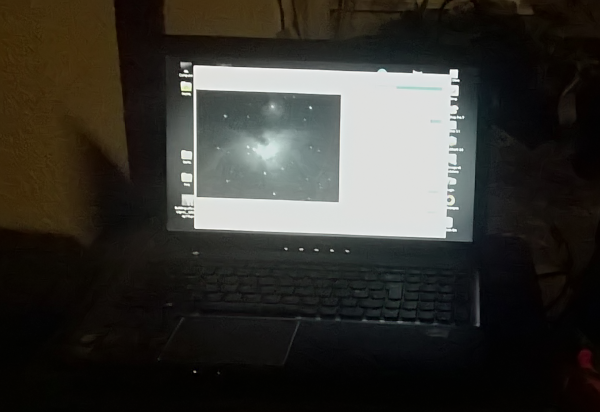 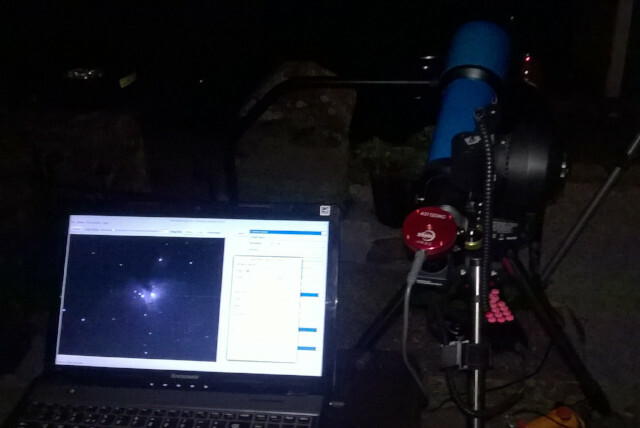 AstroDMx Capture for Linux was used to integrate 8 x 1s exposures into 16 bit tiff files. A 1s exposure with suitable gamma and gain settings shows the trapezium stars and some nebulosity without the central region being saturated. 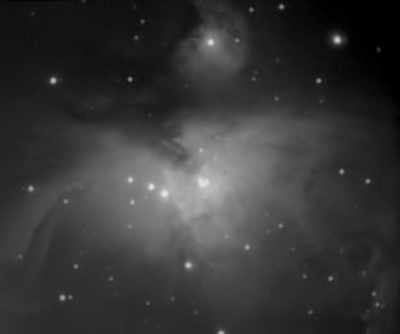 75 x synthesised 8s exposures were captured as 16 bit TIFFs along with Dark frames. 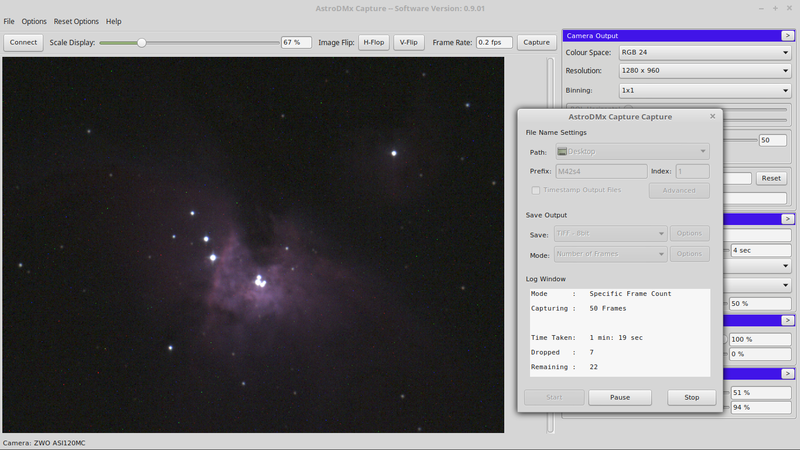 lxnstack was used to dark-correct, derotate and stack the 10 min worth of exposures.